1 inch wide sterling cuff bracelet adorned with a heart. 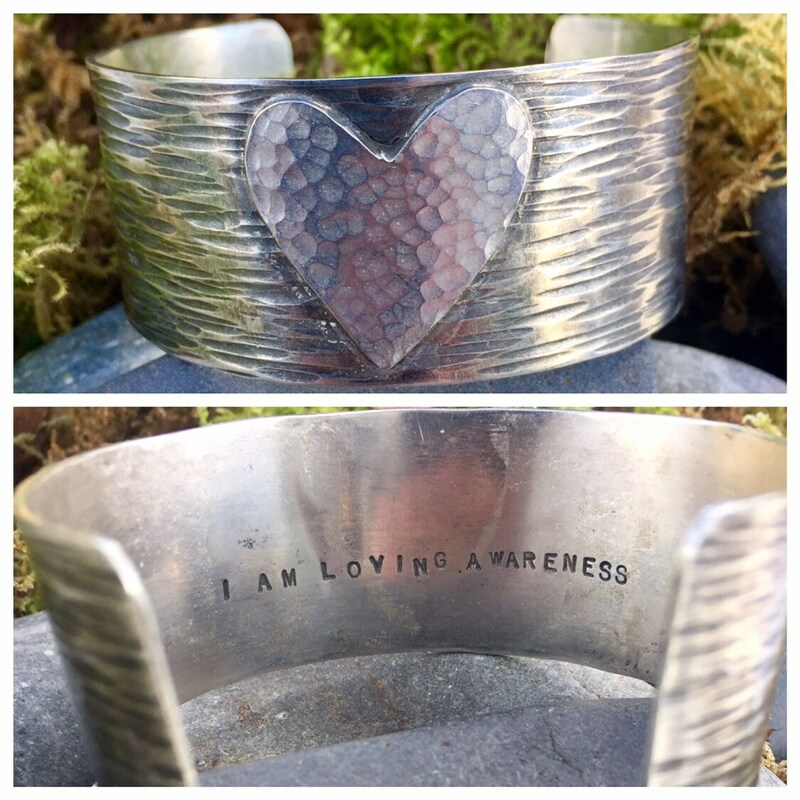 I AM LOVING AWARENESS is hand stamped on this inside. Inspired after reading beautiful wisdom from Ram Dass. Matte finish. Shined upon request.